Doctors, nurses, hospitals and other medical care providers are not perfect. Medical malpractice claims arise when these health care professional provide a patient with negligent care or treatment that causes otherwise preventable harm. In Pennsylvania negligent medical care is defined as treatment or actions that fall below the normal standard of care that another doctor would have provided under similar circumstances. In order to have a valid claim for malpractice the negligent care or mistake must also result in injury. Any licensed health care provider or facility can be subject to liability for medical malpractice under Pennsylvania law. This includes doctors, nurses, medical technicians, therapists, etc. Health care facilities that can be sued for malpractice can include hospitals, nursing homes, clinics, urgent care providers and similar organizations. What is the Statute of Limitations on Malpractice Claims in Pennsylvania? All states impose time limitations on how long someone can wait to file a lawsuit after an injury occurs. This is commonly referred to as a statute of limitations. The general statute of limitations on claims for medical malpractice under Pennsylvania law is 2 years. 42 Pa. Cons. Stat. § 5524(2). That is a plaintiff must file his or her claim within 2 years after they discovered (or reasonably should have discovered) that they were injured as a result of medical malpractice. There are some exceptions to this rule most notably for minors. When the injured patient is under the age of 18, the 2 year limitation period does not begin to run until the minor reaches the age of 18. 42 Pa. Cons. Stat. § 5533. In addition to this 2 year general statute of limitations, medical malpractice cases are also subject to a 7 year statute of repose under Pennsylvania law. This essentially means that a claim for medical negligence must be filed within 7 years of the injury regardless of when it was discovered. There are 2 notable exceptions to this 7 year repose limit: (1) claims for foreign objects left inside the body; and (2) claims for injury to a minor. 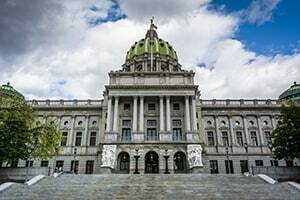 In 2002 the Pennsylvania state legislature sought to address skyrocketing health care costs in the state by enacting the Medical Care Availability and Reduction of Error Act (MCARE). One of the provisions of the MCARE act that makes medical malpractice claims in Pa. somewhat unique is the certificate of merit requirement. In order to file a medical malpractice case in Pennsylvania a plaintiff must first obtain a certificate of merit from a qualified medical expert (i.e., a doctor of the same sub specialty as the defendants) which confirms that the plaintiff was injured as a result of medical negligence. If a malpractice lawsuit is not supported by an appropriate certificate of merit the case will be automatically dismissed. The initial certificate of merit is does not guarantee that the plaintiff's medical malpractice case will ultimately be successful. To win at trial a malpractice plaintiff will need testimony from a qualified expert that the defendants did not meet the appropriate standard of care and that this caused the plaintiff's injury. Pennsylvania law does allow an exception to this requirement of expert testimony where the negligence is "simple" and "obvious" or the result of some intentional act. The MCARE act of 2002 raised the bar for qualifying experts in malpractice cases. Under these new stricter standards the plaintiff must present experts who essentially match the qualifications of the defendant doctors. In many medical malpractice cases there will be several defendants found to be a fault for the plaintiff's injury. A common example would be a plaintiff who is injured during surgery at a hospital. Defendants in the medical malpractice lawsuit will likely include both the surgeon (and possibly other doctors and their practice) as well as the hospital. In these cases with multiple at fault defendant Pennsylvania law applies joint and several liability. That is each separate defendant is assessed a percentage share of negligence. For example, the hospital may found 20% responsible and the doctors may be 60% responsible for the negligent care. In this situation each defendant is initially liable for their respective share of the damages. So in our example above if the plaintiff is awarded damages of $1 million then the hospital pay $200k (20%) and the doctors would pay $600k (60%). However, under the joint and several liability rule the plaintiff is free to recover the full amount of damages from any single defendant. That means the plaintiff could seek recovery of the full $1 million from just the hospital. Under Pennsylvania law there is no general cap on compensatory damages for medical malpractice. Punitive damages are subject to some statutory limits and other requirements. In malpractice cases where punitive damages are awarded, the MCARE act mandates that 25% of the total punitive damages be paid into a state-sponsored excess insurance fund (the "MCARE Fund") instead of going to the plaintiff. Moreover, punitive damages for medical malpractice are not allowed to exceed 200% of any compensatory damages in a case - subject to a limited exception for cases involving intentional misconduct. Pennsylvania law does not permit a medical malpractice plaintiff to get damages for prior medical expenses or lost wages that were covered by insurance or by public benefit programs. This limitation does not apply to life insurance proceeds, pension plans or social security benefits. This is one of the new limitation imposed on malpractice cases by the MCARE Act in 2002. Mandatory arbitration of medical malpractice cases was struck down as a violation of Pennsylvania's state constitution. However, the procedural rules do allow any part to a malpractice case to file a motion requesting a mediation or settlement meeting prior to the expert discovery stage. Pa. R. Civ. P. 1042.21. Below are some general statistics on medical malpractice verdicts across the state of Pennsylvania. From 2013 to 2016 there were a total of 27 medical malpractice verdicts in Pennsylvania in which the plaintiff was awarded between $1-5 million in total damages. During the same time period Pennsylvania juries entered malpractice awards between $5-10 million in 9 cases. Malpractice verdicts in excess of $10 million over this time frame totaled 6. Jury verdicts are not always the best indicator of the real value of most cases but they do provide a point of reference. Below is a brief summary of several reported verdicts and settlements in Pennsylvania that are representative of some of the various types of medical malpractice cases. 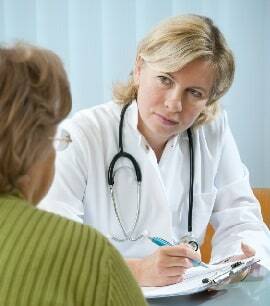 Malpractice claims based on misdiagnosis, failure to diagnose, or delay in diagnosis are very common in Pennsylvania. Typically these cases involve allegations that a patient came in with symptoms and the doctors either failed to perform enough testing, performed the wrong testing or misinterpreted test results. A medical malpractice case based on misdiagnosis can be difficult to win because the negligence on the part of the doctors is often more subtle and less glaring compared to other types of malpractice. For instance, misdiagnosis cases often don't involve a simple question of whether a doctor made a wright or wrong decision but rather whether the doctor did enough or should have done more. This question harder to second guess and easier to defend. However, when a plaintiff is able to show negligence misdiagnosis cases can often have a very high value in comparison to other types of malpractice. Almost 36% of verdicts and settlements for misdiagnosis cases in Pennsylvania over the last 20 years were in excess of $1 million. Unfortunately this is often because a failure to diagnosis can frequently result in death or very serious injury. Below are some examples of misdiagnosis cases. Carney v. Salatka (2017): This was a failure to diagnosis breast cancer which is a type of misdiagnosis malpractice case that appears frequently in Pennsylvania. The plaintiff's doctors did an excisional biopsy and concluded that plaintiff's cyst was a benign papilloma and not malignant. Six months later it was determined that the plaintiff did in fact have breast cancer. The plaintiff sued her doctor claiming that the cancer should have been discovered earlier had the doctor done an aspiration of the breast and needle biopsy. The doctor claimed that her initial treatment and testing were reasonable and that the delay in diagnosis did not result in any injury. A jury in Pittsburg found the doctor was negligent and awarded $375,000 in damages. Kesicka v. Prager et al. (2017): Another misdiagnosis involving a failure to diagnose breast cancer case. In this case the plaintiff had 2 separate mammogram done that failed to identify her breast cancer. She sued the radiologists who read and interpreted the mammograms. The suit alleged that the radiologists negligently failed to interpret the tests and take appropriate action such as ordering a biopsy. In this case the failure to diagnosis resulted in a delay of 22 months. The jury awarded plaintiff $3.3 million in damages. The reason this case was worth so much more than the Carney case was because the delay was longer, plaintiff's injuries were more significant and this case was in the more plaintiff friendly venue of Philadelphia. Golden v. Wayne Memorial Hosp. (2009): In this misdiagnosis case the patient had a bladder biopsy performed. His treating urologist and the pathologist who interpreted the biopsy incorrectly concluded that the patient had a simple bladder infection and treated him accordingly. Less than a year later the patient went to a different urologist who performed more extensive testing and found that plaintiff had advanced stage bladder cancer. The patient eventually died and his survivors brought suit. Plaintiff's experts testified that the cancer should have been diagnosed the previous year had more testing been done and that it would have been treatable at that point in time. It was alleged that the 16-month delay in treatment directly resulted in the patient's death. The jury found that the urologist and pathologist were both 50% negligent and awarded the plaintiff $1.8 million in damages. L.M. Pro Ami McCallister v. Women & Babies Hosp. of Lancaster (2017): This is a very typical birth injury case. During delivery shoulder dystocia (a condition where the baby's shoulder becomes stuck in the birth canal on the way out) became apparent. The doctor used forceps to manipulate the shoulder and complete the birth. The baby was born with erb's palsy and a dislocated shoulder. Plaintiff alleged that the doctor's was negligent in failing to opt for a c-section and using excessive force to address the shoulder dystocia during delivery. In response the defendants claimed that the emergency actions were necessary and appropriate because the birth cord was wrapped around the baby's neck. The case was settled after discovery for $1 million. Townes v. West Penn Allegheny Health Sys. (2017): This case is an example of a birth injury resulting from an oversight or error by the hospital during delivery. The plaintiff was 4 hours into her labor when the fetal monitor alarm went off and showed no heartbeat. The hospital nurses waited nearly 20 minutes before calling in the doctor to perform an emergency c-section. Plaintiff alleged that her baby suffered permanent developmental damages as a result of this negligent delay. After extensive discovery the case was settled for $1.1 million. Santos v. Manorcare Health Serv. (2017): A very typical nursing home negligence case. The elder patient was confined to her wheelchair and fell and broke her hip while at the nursing home. Her estate sued claiming that the nursing home negligently failed to take precautions to prevent patients from falling out of their wheelchairs. The case was settled fairly quickly for $125,000. Scklick v. Extendicare Inc (2016): Another common nursing home malpractice case. Plaintiff estate of deceased patient alleged that nursing home was grossly understaffed and as a result patient was chronically dehydrated; malnourished and suffered numerous falls and other injuries that ultimately accelerated his death. Case was settled for $150,000. Strenkowski v. Beverly Health and Rehab. Services (2007): This is a very typical case of nursing home negligent or abuse in Pennsylvania. The 78-year old patient was living in a nursing home because she was no longer able to care for herself. She began to develop pressure sores, burns, and had to be treated for pneumonia multiple times. The patient eventually came down with pneumonia and died. Her estate sued the nursing home alleging that it failed to properly train and supervise its staff resulting in negligent care. The case was settled relatively quickly for $1.5 million. Sanders v. Markmand (2017): In this case the plaintiff estate made the full range of allegations in a typical surgical error malpractice action involving a hip replacement. Plaintiff claimed that the defendant orthopedic surgeon was negligent in: (1) failing to recommend surgery when patient was not a proper candidate; (2) choosing an improper surgical method; (3) incorrectly applying the surgical implant; and the (4) overmedicating after the surgery. The case was tried in Philadelphia and the jury found the orthopedic surgeon was 85% liable and awarded $935,000 in damages. Franco v. Abington Mem. Hosp. et al. (2017): In this case the patient underwent valve surgery at defendant hospital. Following surgery one of the attending nurses mistakenly administered a blood pressure medication meant for another patient instead of the antibiotic the decedent patient was supposed to get. The blood pressure med cause the patient to die. Liability was not contested and the only issue in this case was damages. The case was eventually settled for $1.9 million. Drucker v. Rubenstein et al (2017): In this case a patient died at 47 multiple adverse drug interactions from drugs she was prescribed by defendant doctors. The suit alleged that the doctors failed to recognize the risk of overdose when prescribing the drugs and negligently failed to monitor the patient while on the medications. The case was settled for $1.5 million. Our medical malpractice lawyers handle very serious personal injury and wrongful death cases throughout Pennsylvania. If you have been seriously injured by medical malpractice in Pennsylvania, call our lawyers at 800-553-8082 or free online consultation.